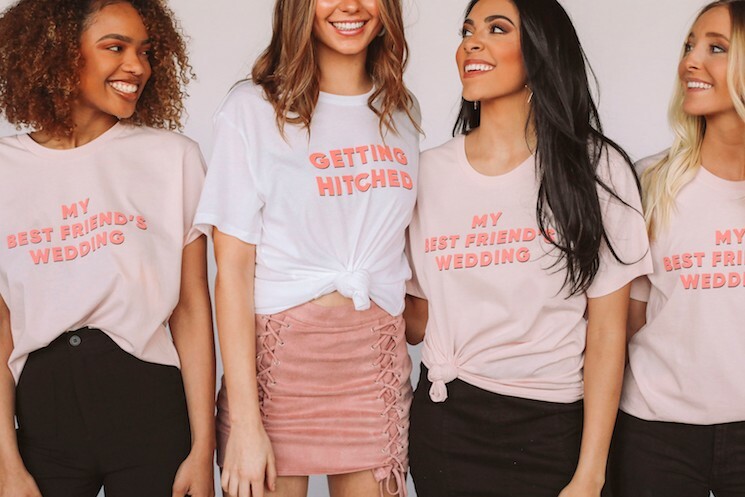 We teamed up with Riffraff and their sister company Friday + Saturday to reveal their newest bridal tee launch tailor-made for brides before, during and after the wedding bells. 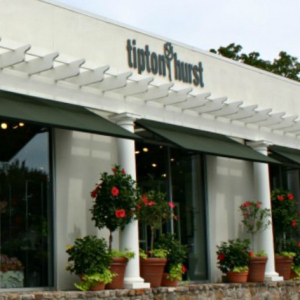 You (and your closets) are probably well acquainted with Riffraff, a boutique based out of Fayetteville with arguably the best social media game in the biz. 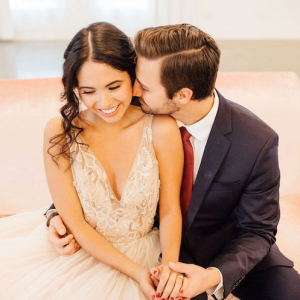 We teamed up with Riffraff and their sister company Friday + Saturday to reveal their newest bridal launch with plenty of pop culture references that are tailor-made for brides before, during and after the wedding bells. 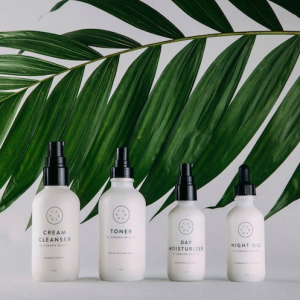 We asked the fashionable ladies over at Riffraff about their top picks from the newest launch (which you can shop here!). 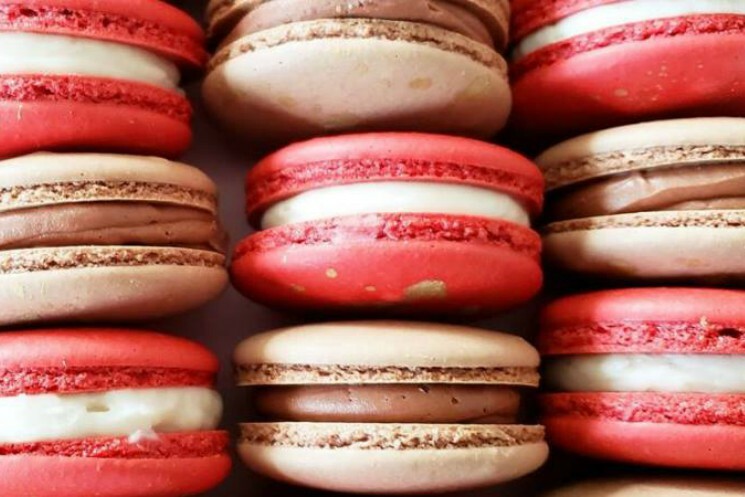 Brb, adding them all to our cart. 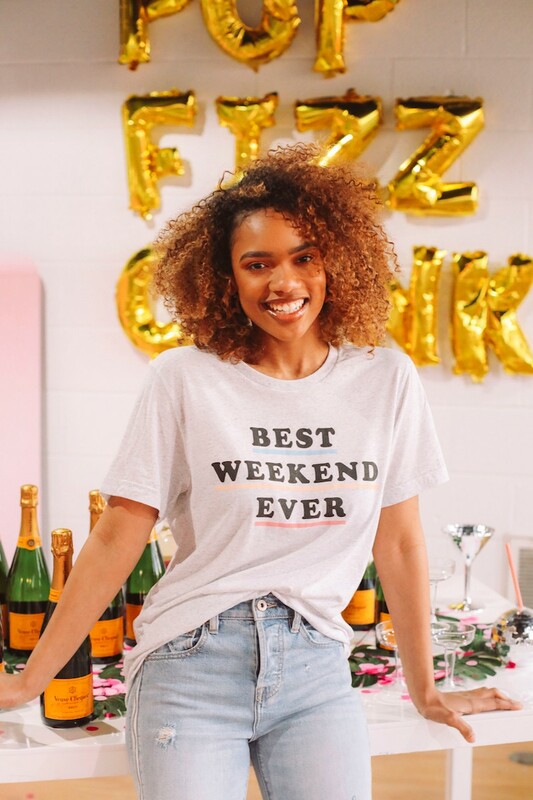 My favorite is the rainbow best weekend ever tee because not only can I wear it to my best friend's bachelorette party but also all weekend long when she gets married! And then I can wear it every weekend after that because honestly, every weekend is the best weekend ever! 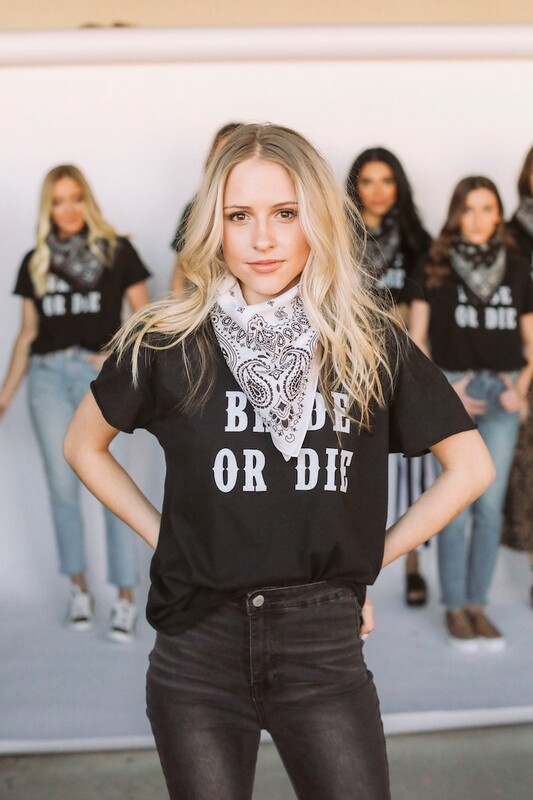 This year, I'm obsessed with our Bride or Die tee. 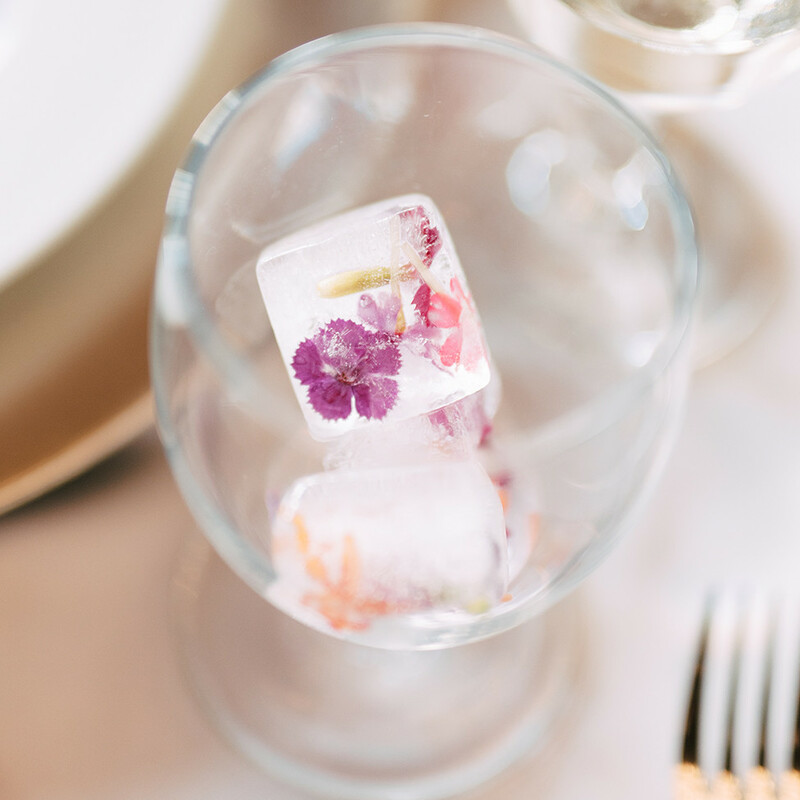 I love the idea of a western/biker themed bachelorette party! The black tee is incredibly soft and the neutrals match everything. Just add a bandana. 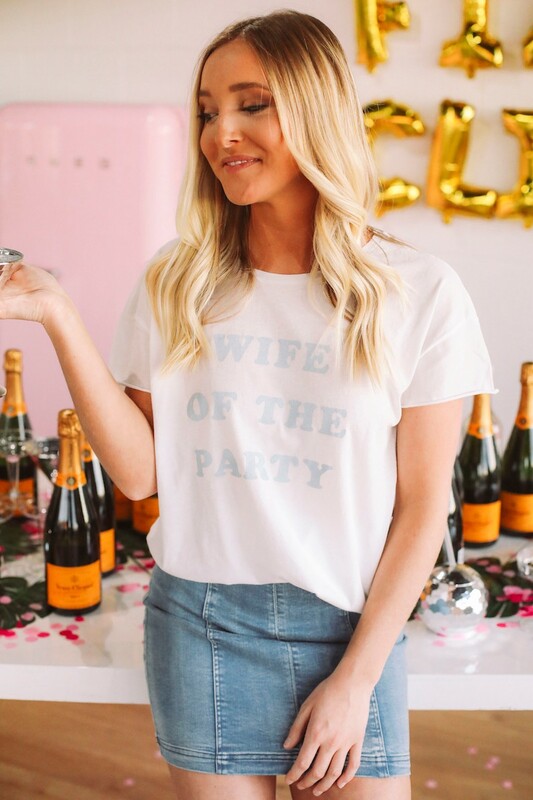 I'm loving the Wife of The Party tee because it's perfect for the bride to wear on her honeymoon. 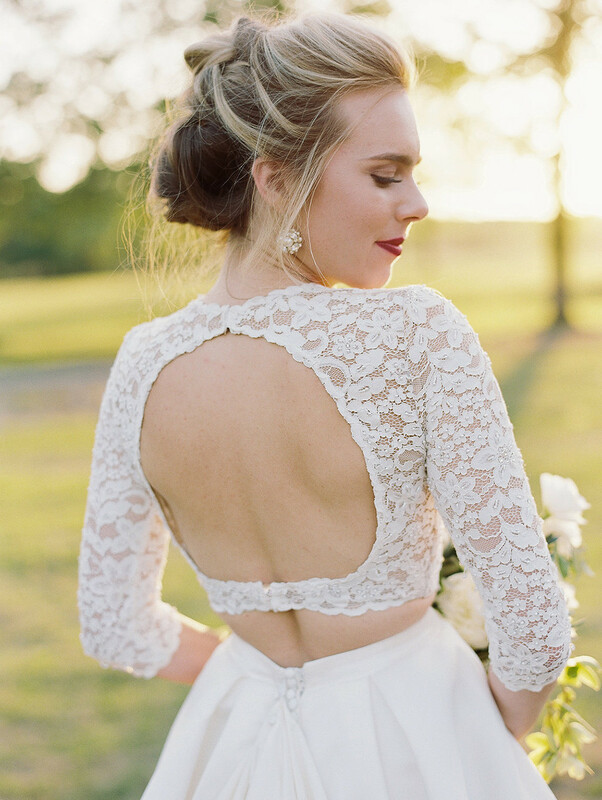 My favorite thing about this tee is it's something that she can wear long after the big day. 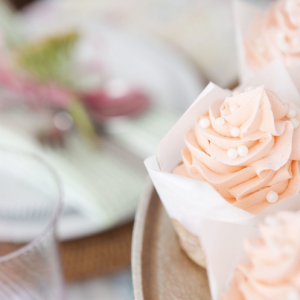 I mean who doesn't want to be the wife of the party? 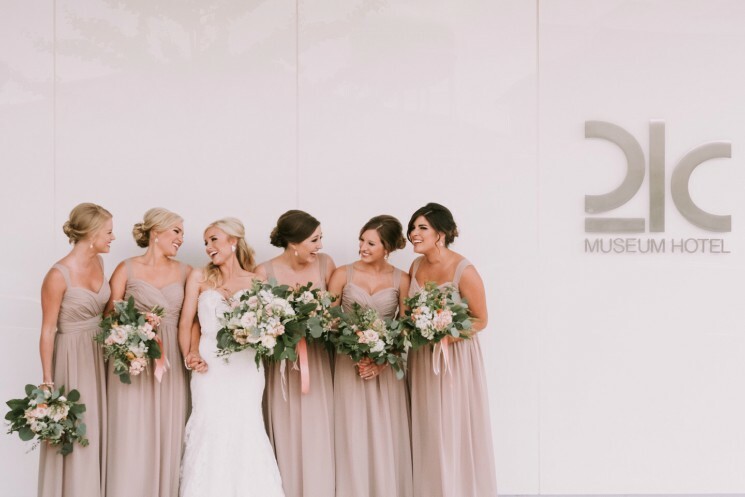 I love this one because "Bridesmaids" has become a classic wedding movie that speaks to everyone who has either been a bridesmaid or a bride! 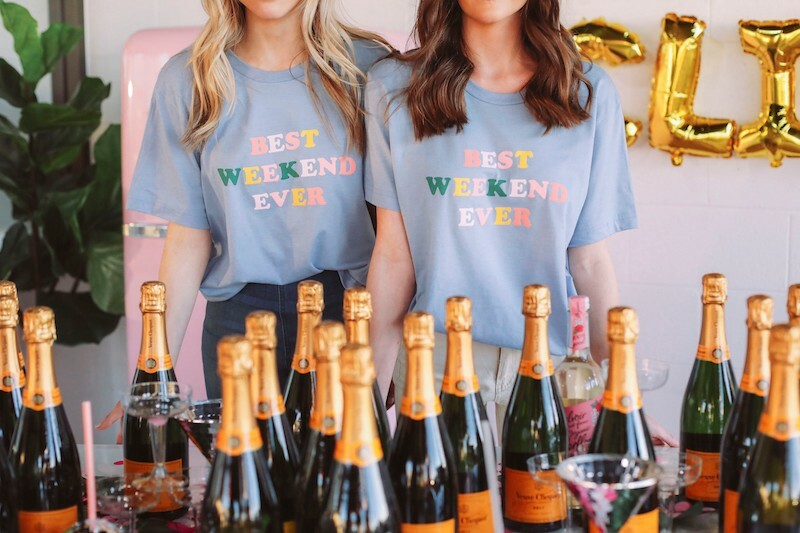 Also, it would be so funny to recreate the picture while wearing the tee on a bachelorette party?! We're just a little bit in love. Shop the full collection online now. 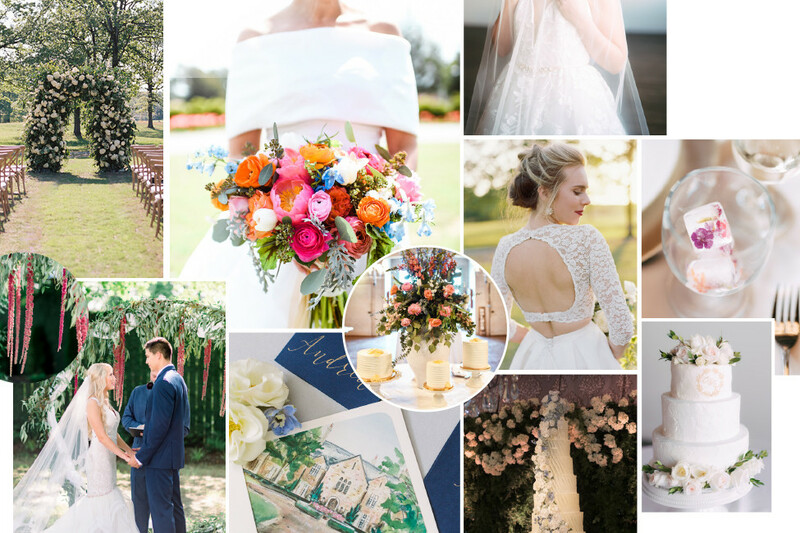 Get inspired by the latest styles during NWA's biggest night in bridal fashion. 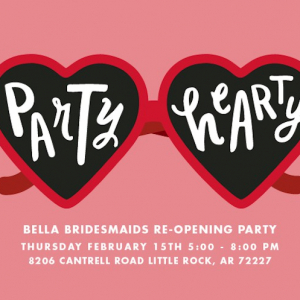 This is one bridal fashion event you won't want to miss! 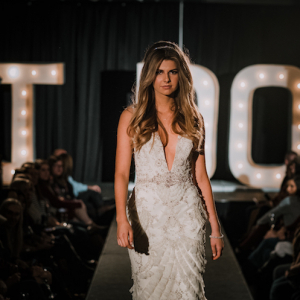 NWA Fashion Week is going bridal for one night only. 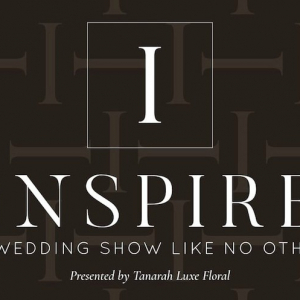 Get inspired by the latest styles during NWA's biggest night in bridal fashion on Thursday, April 4 from 6:30-9:30 p.m. at 21c Museum Hotel. The doors open at 6:30 p.m. and the show kicks off at 7:15. 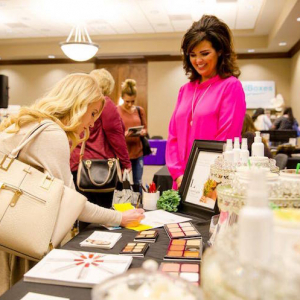 Guests will be treated to a fashion show featuring bridal boutiques include Tesori, She Said Yes Bridal and Joon Bridal. 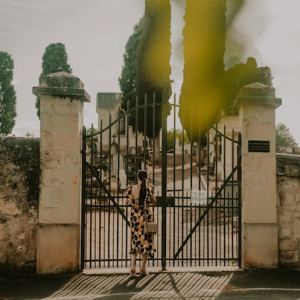 Tickets range from $25-$60 and include one drink token and light hors d'oeuvres provided by The Hive. To grab your tickets and find more info, head to the Facebook event page. 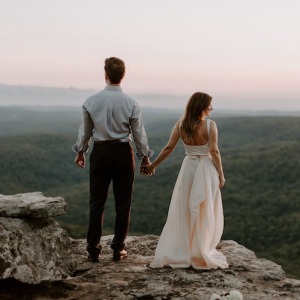 From a nine-tier cake to one-of-a-kind wedding dresses, we’re obsessing over these details found exclusively on ArkansasBride.com! 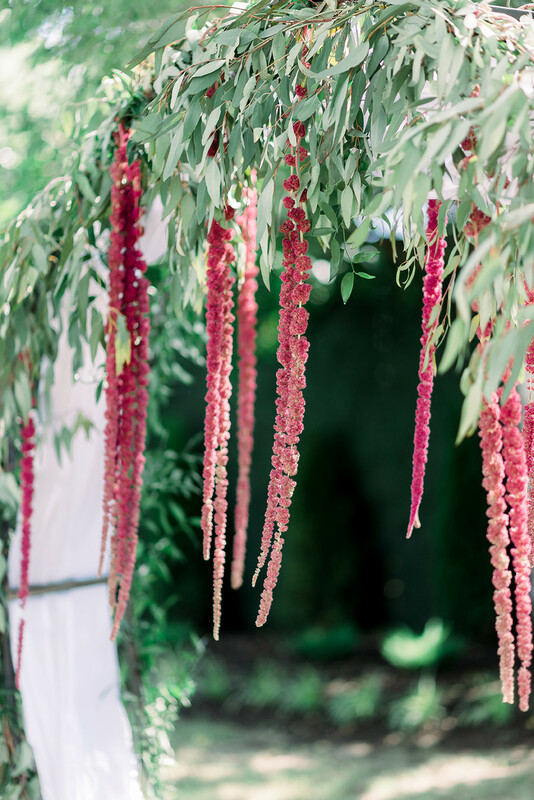 Shirley’s Flower Studio assembled this gorgeous hoop for Emily & Ryan Buller’s ceremony outside the Ballroom at I Street. 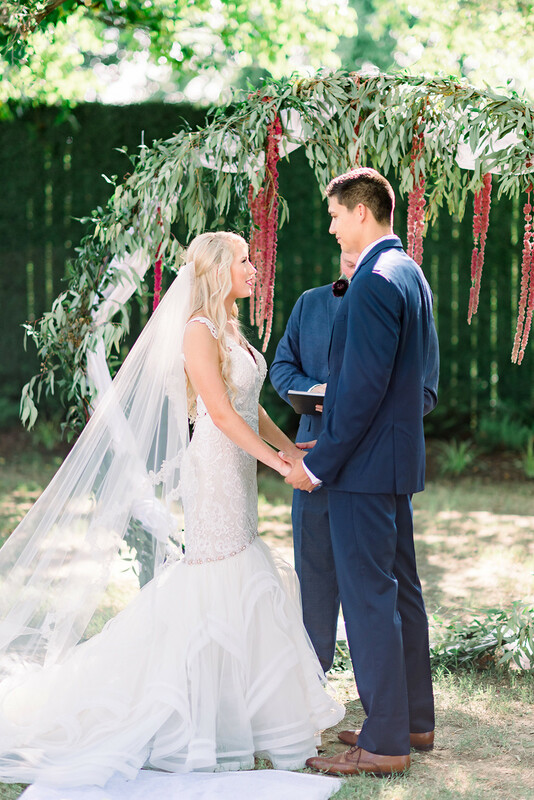 The greenery and burgundy florals created a romantic spot to exchange vows. 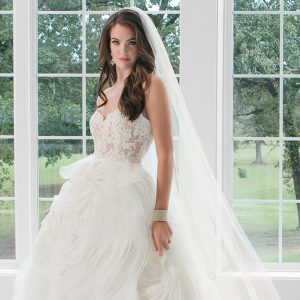 Her She Said Yes Bridal dress flowed beautifully beside it in pictures. We can’t get enough of these artful envelopes designed by Deborah Allen. 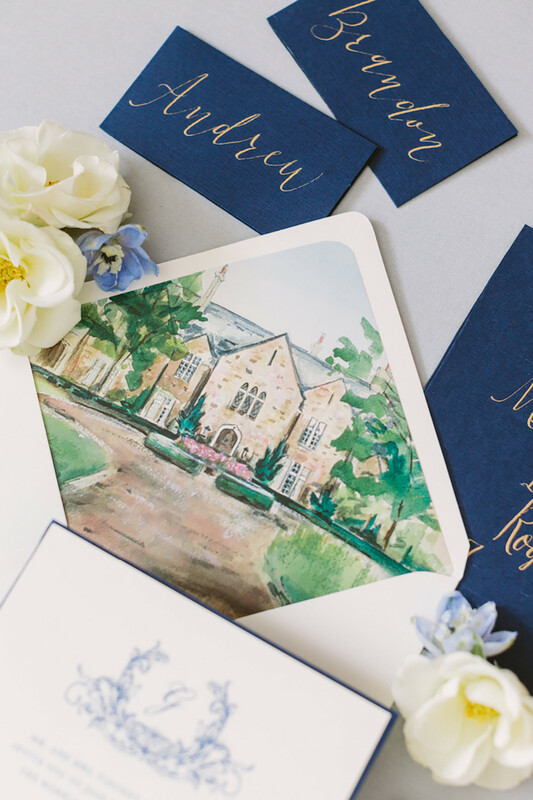 Arkansas bride Natasha Macy Gates slays the wedding stationery game with these custom liners showcasing her wedding venue, Goodwin Manor. Invitations printed by Hobart Print Studio. 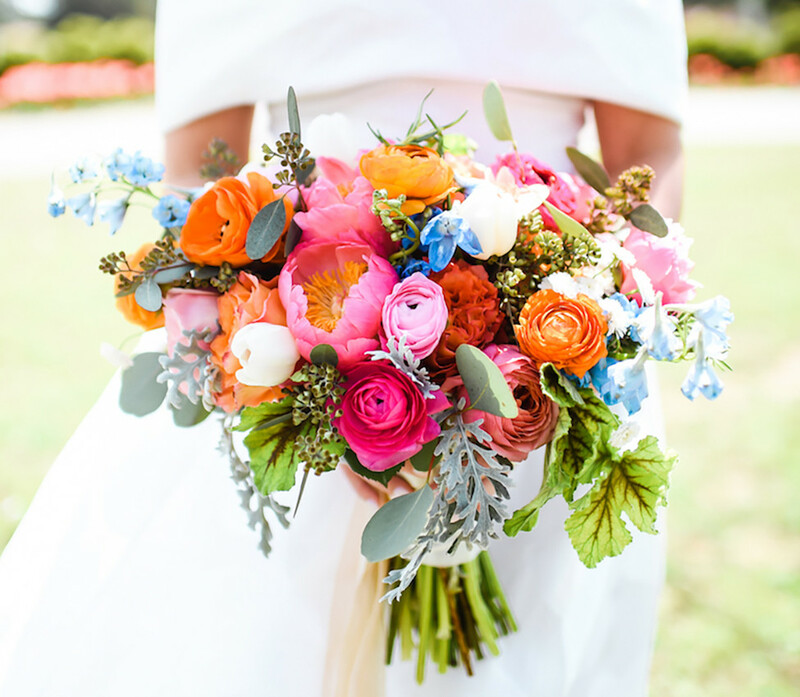 Cabbage Rose Florist’s use of color — flowers in hues of orange, pink, blue and yellow — shine throughout the Moss Mountain Farm wedding of Hannah & Clayton Holder. 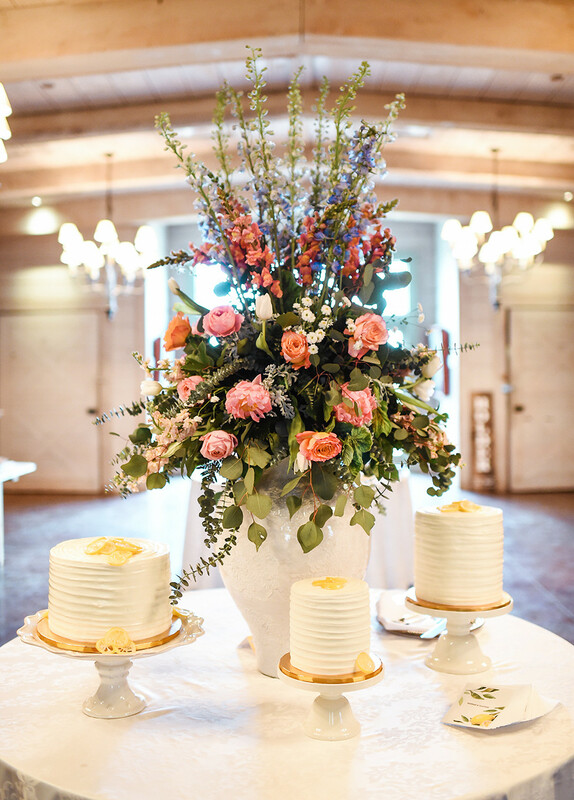 Their day was made even brighter thanks to the cheerful cake ensemble designed by PattiCakes Bakery. 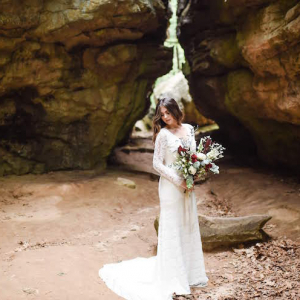 As we sifted through submissions for this edition, Victoria Filipek’s gorgeous gown totally captured our attention. 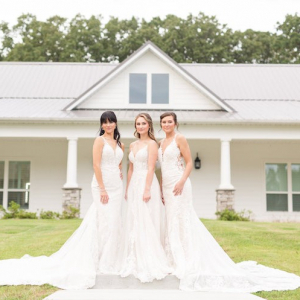 Victoria wore a lacy crop-top wedding dress by Calla Blanche, which she discovered at Inverness Bridal Couture in Conway. 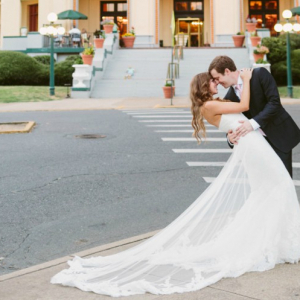 The dress was just one reason we’re obsessed with her wedding. 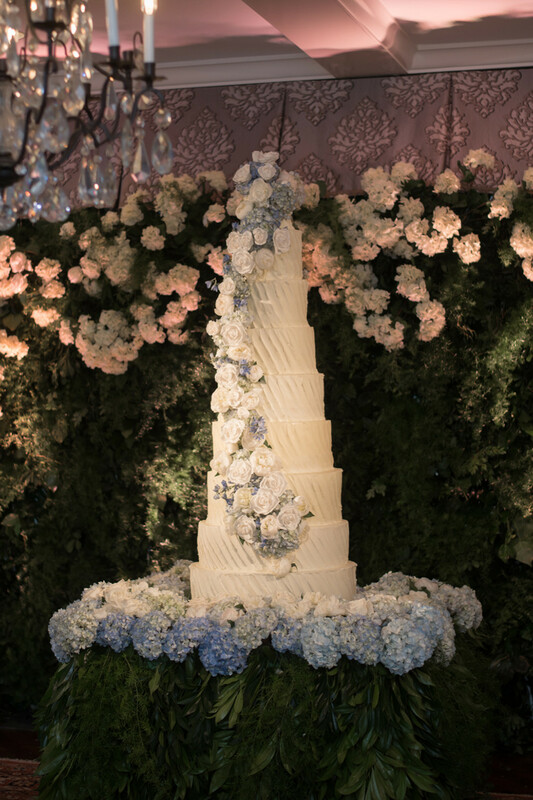 This nine-tier wedding cake by A&M Cake Designs of Conway and its over-the-top floral backdrop stopped us in our tracks. 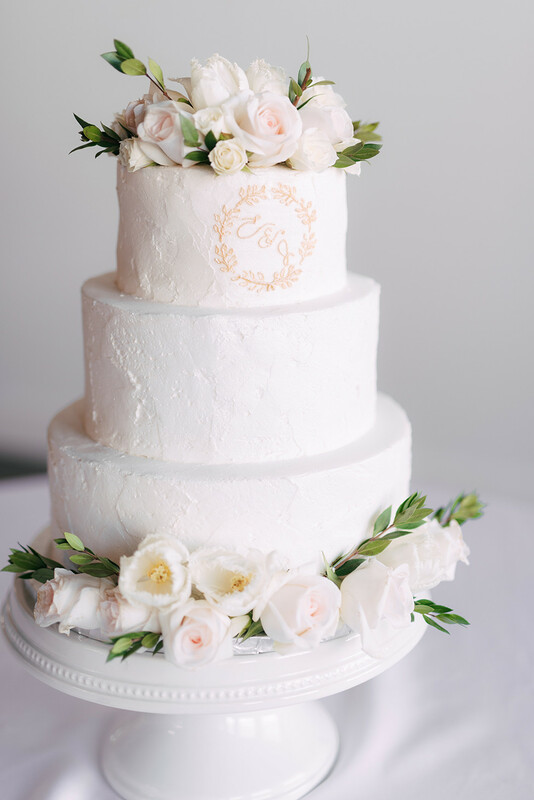 Tipton & Hurst created a flower wonderland to embellish the cake and transformed the Country Club of Little Rock for Anne Marie Hastings & Joe Doramus’ wedding. 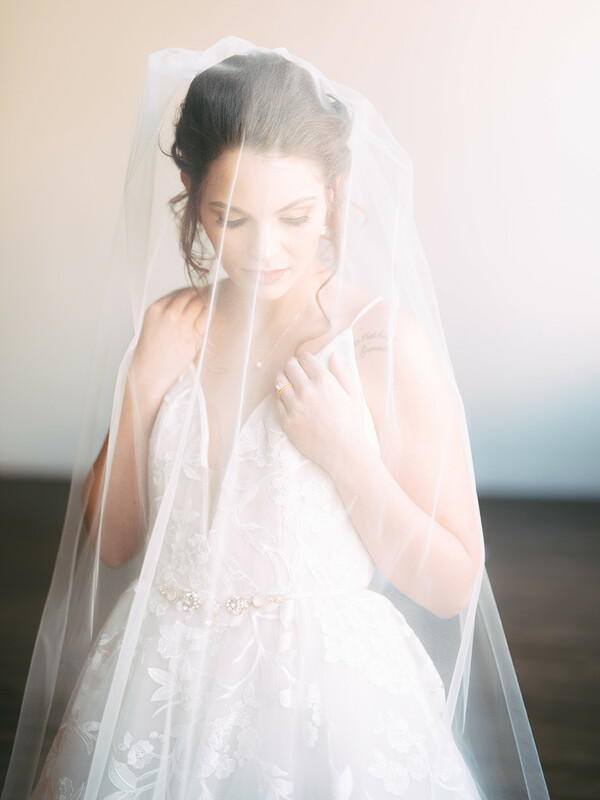 We have exclusive styled shoots on the ArkansasBride.com blog too, including this one dreamt up by Erin Duncan Events. 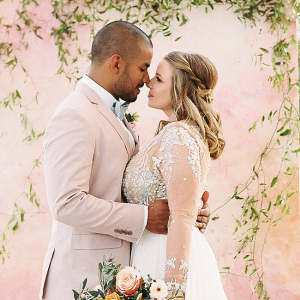 We’re particularly obsessed with the edible flowers from Gourmet Sweet Botanicals, dreamy cake from Rick’s Bakery and blush wedding dress from Tesori.